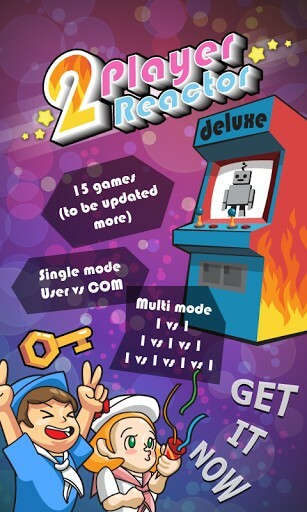 If you’re looking for massive fun and you’re running on Android, the world’s preferred platform, well, 2 Player Reactor Deluxe is the name of the game. I am serious, stick around for a little while and I will tell you all about it. 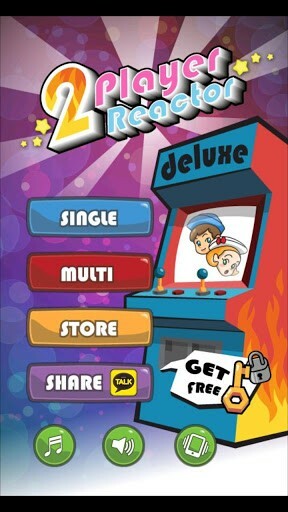 2 Player Reactor Deluxe is developed by Toy-Apps and its main goal is to entertain you, plain and simple. Basically, what we have here is one of the best compilation of games on the market, if we’re talking about a mini-game playable on a single device. You have 2 choices : if you’re into flying solo, you can play against Hal 9000′ CPU, the “evil” Artificial Intelligence or you can play human vs human, against your friend, using yours/his smartphone or tablet, on a single device, switching turns. There are plenty of hot games to choose from, like “paper rock scissors”, “chop cup”, shell games, math, you name it; also, lots of puzzles (you’ll play against time), making you exercise your attention and your reflexes, taking your brain for a stress test. I don’t know about you, but I just love those mind-breaking spirit crushing games, I prefer them to shooting balloons and bursting bubbles. If you wish to play these games against a human adversary, you must unlock them first, by playing solo against the AI. Only afterwards you’ll be able to confront a real-life opponent, and that’s basically the real point of Reactor Deluxe. There are 15 mini games in total to play with and three difficulty levels. If you can’t get through the levels, you can always buy keys within the App and unlock them. The graphics are not very complex in nature but very colorful, combining real life photos and cartoon-like artwork. The touchscreen implementation is pretty good and the games are running smooth, even if you’re not playing on state of the art droids. Just visit Google Play, download and install the game, play hard, you’ll thank me later.